Sunday was a good day. I had arranged brunch at the house and invited my chum Emma. I had made homemade granola (recipe on blog) with natural yogurt and melon plus toast with a whole host of wonderful jams and marmalades. It was such a lovely way to spend a few hours on a Sunday morning. We chatted, giggled and talked over my next “Tara’s Busy Kitchen Presents..” event. A date has been set so watch this space. Sunday continued in a foodie vein (obviously) and Serena popped over for supper. I prepared some bits and bobs out of what was left in our fridge and cupboards! I quite like the challenge when it’s a day or two before the grocery delivery and the cupboards are looking a bit thin on the ground. I made a lentil salad and a roasted broccoli and feta salad. I also rustled up some butterbean dip with carrot batons and a little bit of left over Anchoïade with some fabulous bread that I got at the farmers market. It’s amazing what you can make out of not very much and a bit of imagination! 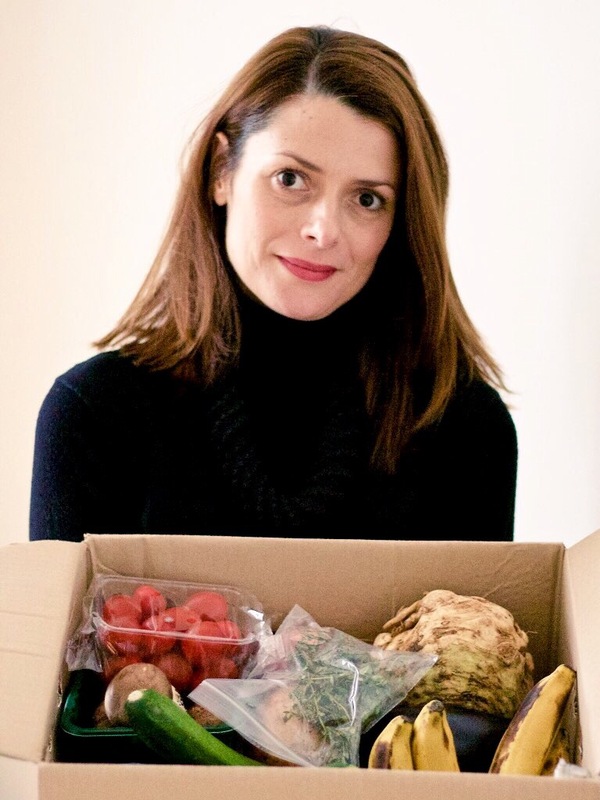 I was lucky enough to receive a small “keen cook” fruit and veg box from Able and Cole this week and can’t wait to start creating recipes from the ingredients to share with you. A blog post will follow in the next week or so. Thursday was a well deserved day off. Now the Christmas and New Year holidays are behind me I feel life has gone crazy again. I had the most wonderful time over the holidays with friends and family. It now seems so far away. Work can take over sometimes and I relish my days off. Steve and I popped into town to visit the farmers market. I wanted to pick up some more bread and veggies. We stopped by The Almond Thief bakery for our sourdough fix and Shillingford Organics for our vegetables. From the market we wondered down to Cakeadoodledo to thaw out a little. It was freezing cold and my fingers and toes went numb! I ordered a pot of tea and Steve had an americano. We shared a piece of the most delicious coffee cake. By the time we had finished our tea and cake I had returned to my normal temperature just in time to venture out in the cold again. Brrrrrr! Friday morning Steve and I stopped by The Glorious Art House before I had to head off for work. It’s always a pleasure to drink hot tea there.. Especially as it’s so cold at the moment. It’s been a fun filled week in and around work. I really enjoyed my day off on Thursday. I need more days like that. I actually felt completely relaxed throughout the whole day. I think it’s important to remember we work to live and not live to work. I am going to try and stand by this motto this year! I have plenty of fun and exciting things lined up for next week so watch this space! Photo credit to Steve Kitch for some of the Picures on this weeks post. Thank you Steve!